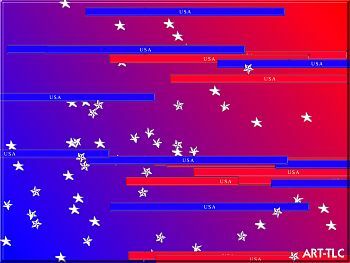 A simple animated screensaver with red and blue background and stars and stripes floating by. Music is "Stars and Stripes Forever". Download Free Wallpaper from this screensaver! Screensaver copyright, ART-TLC ©.This screensaver fits any screen settings.